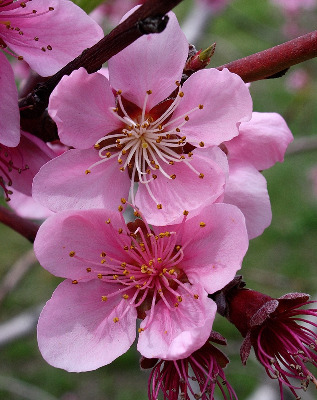 A well-known cultivated tree, originating in China, rarely spontaneous where pits have been discarded or otherwise spread, as along roadsides and rivers, in thickets, or near yards. First collected in 1892 in St. Clair Co.
MICHIGAN FLORA ONLINE. A. A. Reznicek, E. G. Voss, & B. S. Walters. February 2011. University of Michigan. Web. 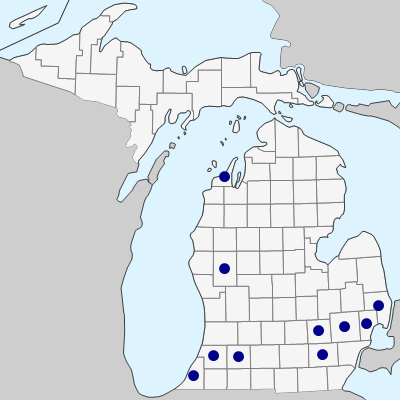 April 19, 2019. https://michiganflora.net/species.aspx?id=2525.